If you’re looking for a new feline friend, we would of course advise you to adopt instead of buying online. 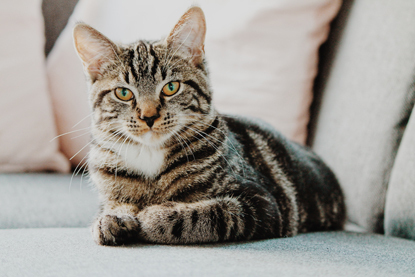 Cats Protection has thousands of cats waiting for new owners, and you can be sure that they have been well cared-for and received all their necessary health checks before you take them home. However, we do understand that some people may prefer to buy from a pet seller. If you do, it’s important to do your research and make sure the cat is responsibly bred, otherwise you could be left with some unexpected vet bills. We’ve teamed up with some of the country’s other top animal welfare organisations, including Dogs Trust, Battersea and the RSPCA, to form the Pet Advertising Advisory Group (PAAG) – a coalition united in its aim to promote responsible pet advertising and reduce the number of adverts from unscrupulous, and often criminal, dealers and sellers. 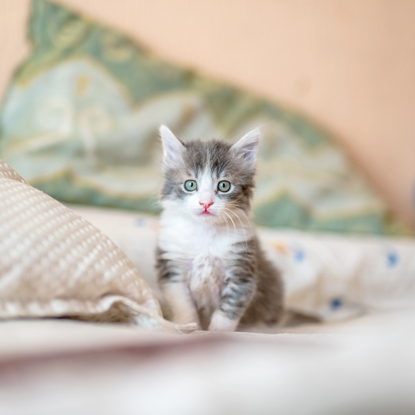 Research by PAAG has found that 37% of people admitted they did no research before buying a new pet, and half of pet owners are unaware regulations have come into force for the buying and selling of pets online. In addition, a shocking 87% of people paid an average of £1,000 on unexpected veterinary fees after they had purchased their pet. With 1,000 new adverts appearing every day, we’re determined to try and stop the public from being duped into buying sick pets advertised online, and to protect the health and welfare of any animal sold via online ads. To do this, PAAG has launched a new website with lots of advice on how to buy a pet responsibly. It will also be updated regularly with scams to be aware of and will provide a place for anyone to confidentially report suspicious websites or traders. If you do decide to adopt not shop, visit www.cats.org.uk/adopt-a-cat to give a magnificent moggy a second chance.